Once you have made the progressive decision to implement artificial insemination (A.I.) into your cow herd there is one big word you need to focus on: STOCKMANSHIP. Stockmanship is the knowledgeable and skillful handling of livestock in a safe, efficient, effective and low stress manner (Stockmanship Journal). It’s important to practice good stockmanship skills whenever handling cattle, but it’s especially important when you have a group of females set up for A.I. Realize this is going to be the third time in 20 days the females have gone through your facilities, you have manipulated their hormones and, if you’re A.I.ing cows, there are now calves involved. That might sound like a lot at first, but the results next spring or fall will be well worth it! In my experience, there are a few simple things you can do during an A.I. project that will make your day much more enjoyable. I’m talking about your cowboy crew. GENEX will provide you with an excellent breeding crew. You can count on that! The right crew can be the difference in making your A.I. breeding program successful. What you need to do is get your crew involved and excited about your A.I. project. Don’t be afraid to talk to your crew about a few things ahead of time like making sure they are on time, someone is in charge of supplies, everyone sees the value in A.I. and reminding them this is a little different from branding or weaning day. When it comes to gathering, sorting and getting cattle through the A.I. barn, nothing is worse than having people there who don’t believe in what you are doing. If your cowboy crew is excited about A.I. day, they are calmer, more patient and easier on cattle. All of these things will translate to more pregnancies and more money in your pocket. 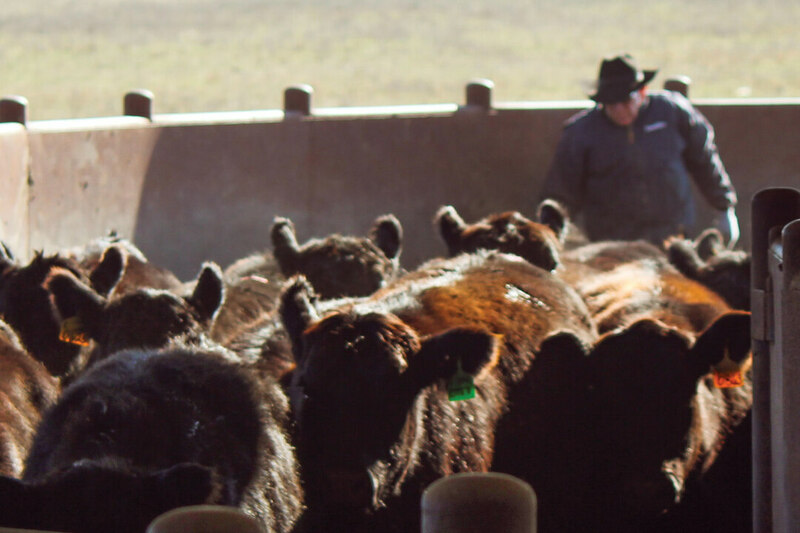 When it comes to crews handling cattle, it is helpful to remember less is more. Less people with more experience and patience will yield better results almost every time. The right crew will be the difference in your success. When it comes to facilities, it’s not about trying to reinvent the wheel; it’s about making sure everything is in the right place so you can do more with less. With a virgin heifer A.I. project, you can usually leave everything the way you have it for everyday use. 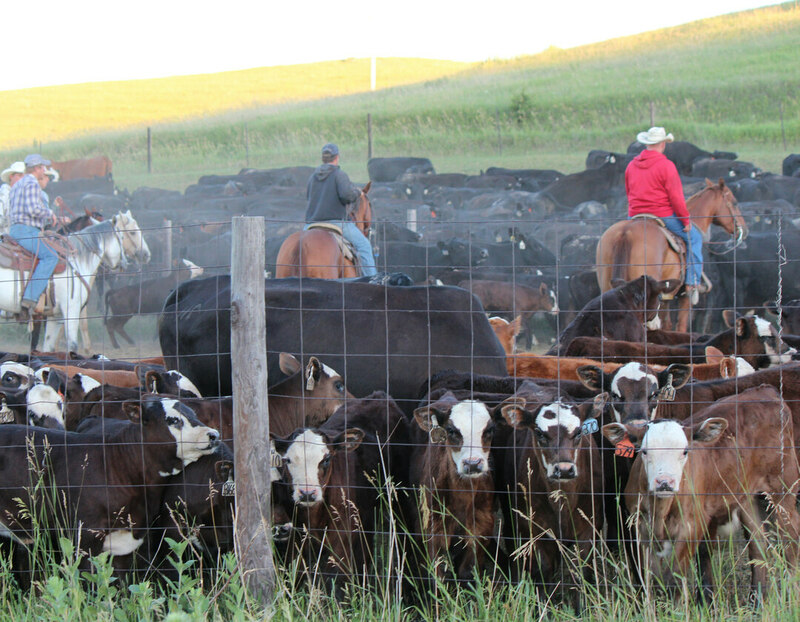 There is not much sorting that needs to happen, and facilities are usually designed to process yearling size cattle. With an A.I. project involving mature cows, her calf is now added to the equation. Stay with me now; it’s not that bad! Anyone who has A.I.ed mature cows will tell you the first time was a little uneasy because they didn’t know what to expect. It just becomes a part of the process in the years to follow. GENEX can help with minor changes to your facilities to get pairs split in a safe, low stress and efficient manner. Little things, such as removing the bottom two rails of a panel for calves to go under and be put in a separate holding pen, can be an easy add-on to any facility. See how one person can sort pairs without additional labor or stress. http://bit.ly/SortingCow-CalfPairs. First things first, please do your A.I. crew a favor and check everyone’s truck, trailer and even their saddlebags to ensure every hot shot was left at home! The WORST tool someone can bring to an A.I. project is a hot shot with fresh batteries. As an A.I. technician myself, I know firsthand standing behind cattle that have had a hot shot used on them in the alley makes for an unsafe work environment, and I don’t like it. Instead, use tools such as flag whips, sorting sticks or fiberglass poles. Items such as these reduce the stress level of the cattle, and when the cattle aren’t stressed neither is the crew. Everyone wins! Keep both the crew and cattle calm. Don’t use hot shots. Instead, if needed, use tools like flag whips, sorting sticks or fiberglass poles. Remember, it doesn’t take much to make your A.I. project a success. A little stockmanship goes a long way. Don’t be afraid to talk to your crew beforehand about what is expected, and never miss an opportunity to help someone correct what he or she is doing to make things run smoother. Handling cattle is an everlearning process, and every situation is unique. Sometimes you have to be creative and think outside of the box. If you have any questions or would like some help on your next A.I. project, please feel free to contact me anytime.